With spectacular views onto the Cromarty Firth and Black Isle, the Lodge is our one-bedroom cottage laid out over two floors. With an open-plan living room with king-sized leather sofa bed, shower room and kitchen area downstairs, a spiral staircase leads upstairs to the Lodge’s king-sized bedroom. What really stands out about the Lodge, besides its open-plan arrangement, are the views. From upstairs, there are views onto the Cromarty Firth and Black Isle. 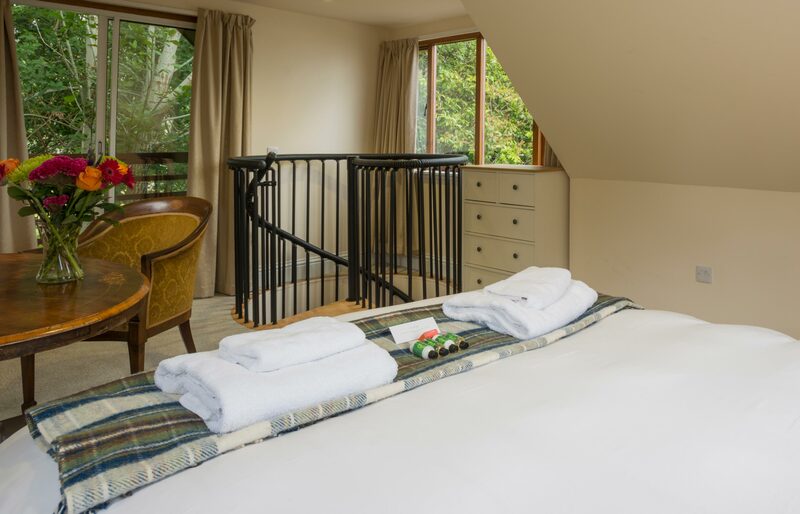 The Lodge’s small private balcony looks out onto the adjacent woodland, and it’s the perfect location for spotting Red Kites, rabbits and even Pine Martens! The Lodge features one king-sized bedroom upstairs, with the option for additional accommodation downstairs in the open plan living area. 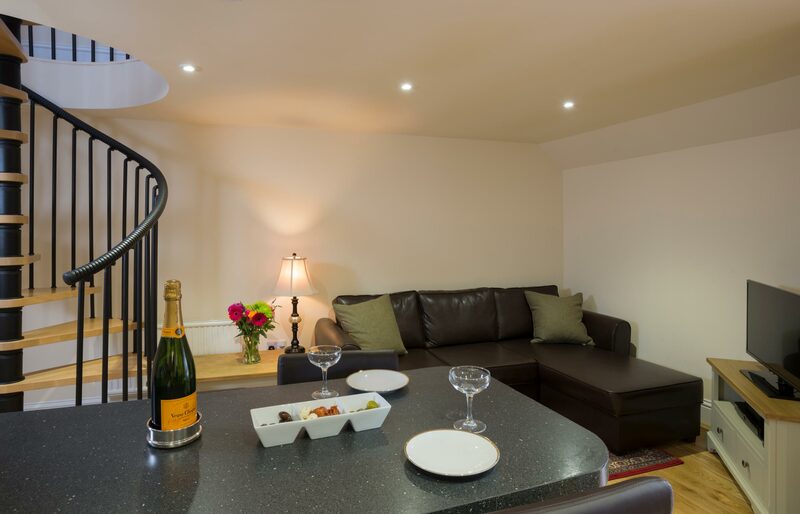 There is a small shower room on the main floor, along with a kitchen-diner and open-plan living room with leather sofa bed. 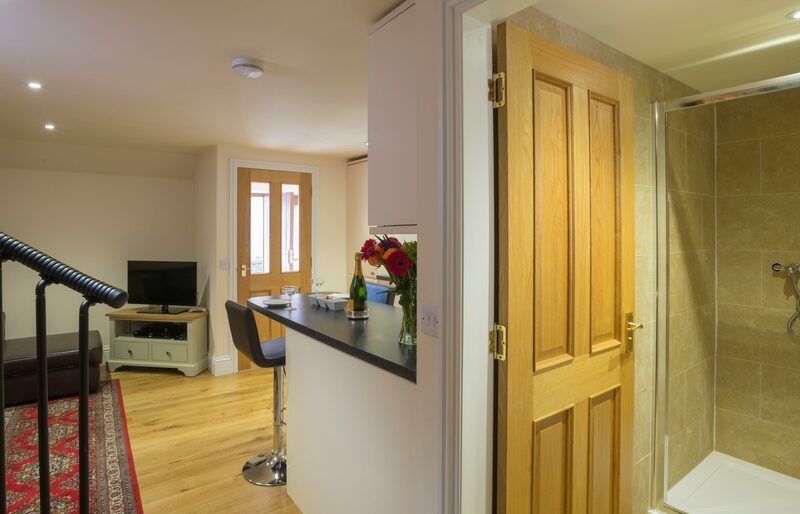 Like all of our cottages, the Lodge has a flat-screen TV and Blu-ray DVD player. There’s also a complimentary fast Wi-Fi internet connection, and a washing machine. Perfect for guests having an outdoors holiday! 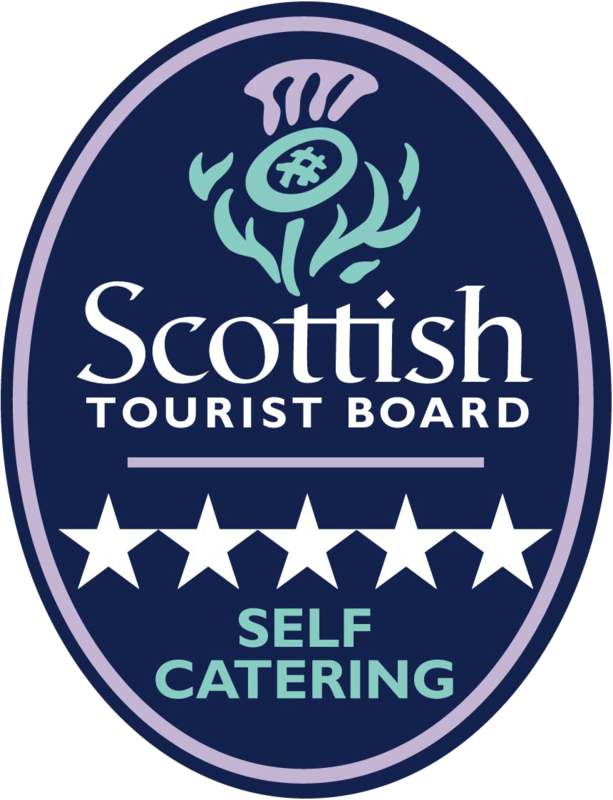 The kitchen/dining area is fully equipped for meal preparation, with an electric hob and fan oven with grill, as well as a microwave oven. Tain Pottery have provided all our hand-made traditional local crockery. There is also a coffee-maker, a fridge-freezer, and a dishwasher. There is ample parking outside the Lodge for two cars. Small private balcony looks onto woodland: the perfect place to spot Red Kites, rabbits and even Pine Martens!